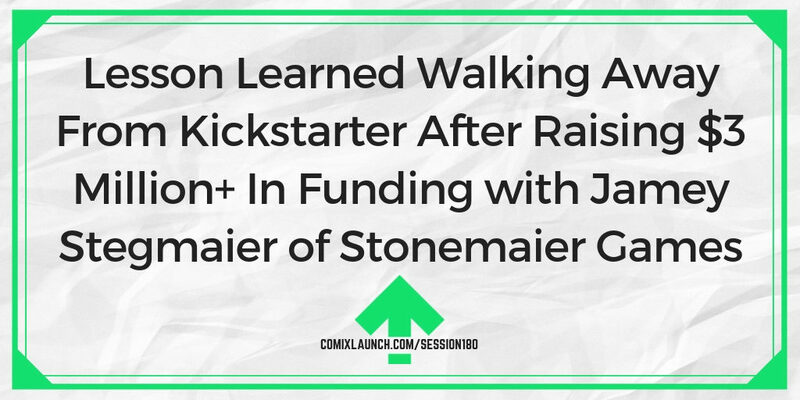 Few creators have written more about Kickstarter, had more success on Kickstarter, and helped more people achieve success on Kickstarter than Jamey Stegmaier, author of A Crowdfunder’s Strategy Guide: Build a Better Business by Building Community and CEO of Stonemaier games. So why did he decided to STOP launching on Kickstarter? And how has he managed to grow his business in the years since? All that and much more is discussed on this year-end episode of ComixLaunch! How Kickstarter has affected the board game industry. Why and where Jamey decided to shift his focus away from Kickstarter after millions of dollars in funding? How to build a community around the products you launch. Plus: A brief look back on this year in ComixLaunch. Jamey Stegmaier is the founder of Stonemaier Games, a St. Louis based board game company that has found incredible success on Kickstarter and beyond. He’s the designer of a number of hit games including Viticulture, Euphoria, Scythe, and Charterstone. And his 8 successful crowdfunding campaigns have raised over $3.2 million. 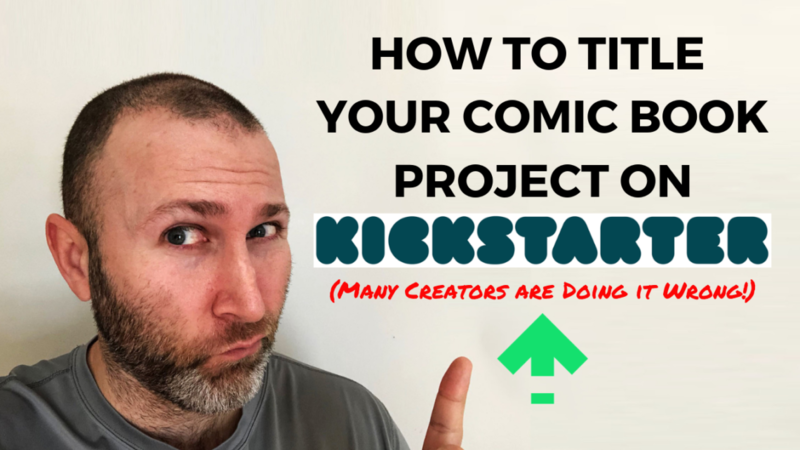 Since the beginning of his crowdfunding journey, he’s shared his Kickstarter lessons learned on the Stonemaier games blog, one of the best Kickstarter resources on the net. He also authored the book A Crowdfunder’s Strategy Guide: Build a Better Business by Building Community which is a frequently recommended resource on this show. Imagine your number 1 sales channel disappeared. What would you do to sell even more of your art to the world under these new circumstances. Over the past year, Carmelo Chimera has worked hard at dialing in his audience building, email list growth, and Kickstarter launches. Now that he has a a successfully funded graphic novel to sell, he’s identified his sales page as not converting. 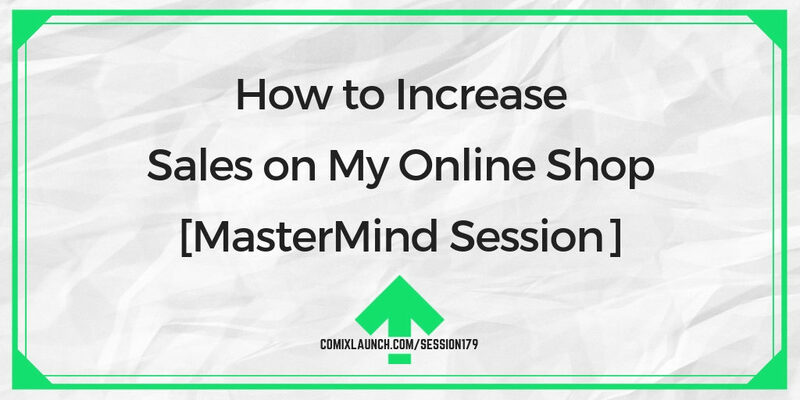 In this session, the mastermind provides Carmelo with concrete steps to boost his online sales conversion rate. Elements of a effective sales funnel and how Carmelo knows it’s his sales page that needs work? The kismet of a mastermind… you never know what skills will come to play. Ways to quickly improve the conversion rate on your sales pages. Plus: Tyler opens up about the struggle of doing something new. Carmelo Chimera is a lawyer and comic shop owner by day, and a comic book creator by later in the day. 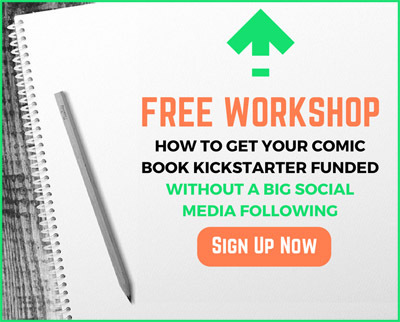 He is the creator of the Kickstarter funded graphic novel, THE MAGNIFICENT and the recent sci-fi/ horror graphic novel anthology Cellar Door. Sebastian Chow is the London-based writer and artist of the Kickstarter funded feline space race series, CATAPULTED. If you have something for sale on an online shop, get someone (maybe family or friend) to go through the process of buying from you in front of you. Ask them to talk aloud what they’re thinking, seeing? Make notes of ways to improve the experience based on seeing it through their eyes. 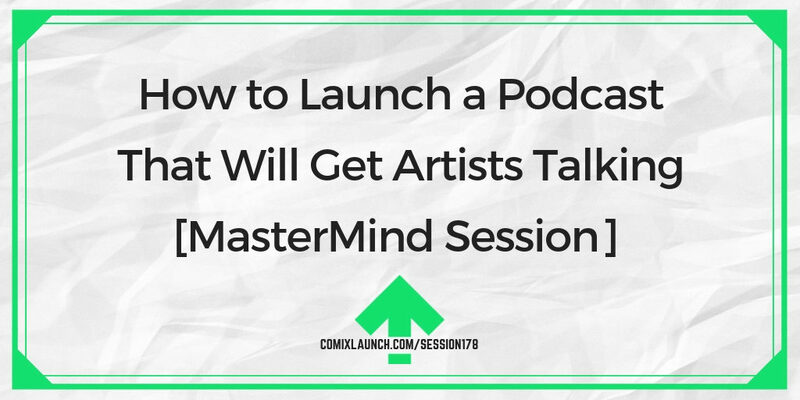 How do you best launch a new podcast for artists and creators that will build community and make an impact? That’s the challenge Ryan Summers brings to a mastermind of his potential listeners for clarity and actionable suggestions about how to roll out his new show. How to go beyond creating content and actually create a real conversation with your audience? Ways to roll out the red carpet for your podcast guests that make them authentically want to spread your message? Ryan Summers is a Chicago director, designer, animator and educator, teaching at online schools like Mograph Mentor and the School of Motion. He loves hockey, root beer, and Hellboy – and he wants to help you make stuff, too. How can you create premium experiences for the people you work with? All of Ryan’s social is under the name Oddernod. One of the best parts about writing historical fiction graphic novels, is doing research into fascinating people, times and places in the past. However, it also represents a challenge of determining how to best incorporate that research into your work. 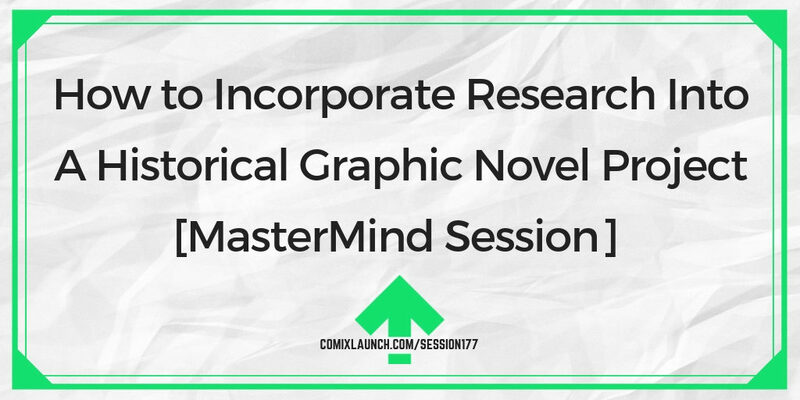 In this mastermind session, writer Shaun Manning brainstorms systems and processes for weaving rich history into compelling historical fiction. Balancing getting the history right with telling an engaging tale. The power of having beta readers with an expertise in your subject matter. Showing vs. telling and how much a reader really needs to know. Plus: Hear honest feedback from a creator mastermind group that Tyler assembled back in June who have been meeting regularly for support and accountability. Shaun Manning is the writer and co-creator of the historical graphic novel Macbeth: The Red King, which was recently funded through Kickstarter, as well as Hell, Nebraska and Interesting Drug. He has also written short comics for Star Wars Adventures, Dark Horse Presents, the Thought Bubble anthology, and more. Do you have BETA readers? What if you assembled a small group of BETA readers for 2019? The best thing about creative people is that they have lots of great project ideas. But when our time and resources are limited, that also poses a challenge. 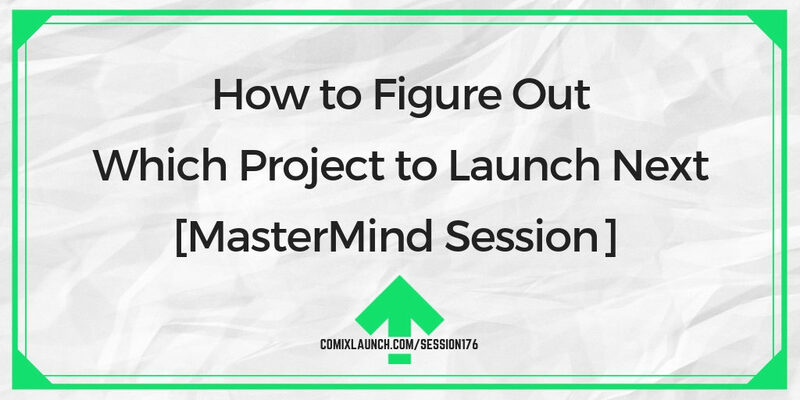 In this podcast, Dobbers creator Darryl Jones solicits feedback from a mastermind of creator peers on which of several promising projects to launch next. How the stakes are raised on the what to create question when you become a full-time creator. Balancing audience and market interest and expectations with your own creative desires. The importance of momentum in your creative business and how to harness it. Plus: Kickstarter’s Make100 is back in January… Are you on board? Darryl Jones, is a lifelong artist and gamer with a degree in Sequential Art from the Savannah College of Art and Design. He’s created The Dobbers, which is both a graphic novel and popular board game successfull funded on Kickstarter. His work has been featured in other nerdy worlds such as, True Dungeon, Dwarven Forge, Nerd Fitness, Green Couch Games and Bellwether Games. On a sheet of paper, draw a set of dominoes lined up in a row. Now, label each domino with projects you’d like to complete in the next year, in an order where completing one “domino” makes the next one easier. Follow Darryl Jones @splatteredink on Twitter, Instagram and Facebook to keep up with all of his upcoming projects!